Goette will lead key client initiatives across all seven agencies within the Nitrous Effect collective. Goette will spearhead efforts across the agencies to ensure client satisfaction and alignment across the collective’s agency partners. 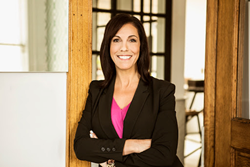 Nitrous Effect CEO Keith Alper names Meredith Goette Vice President, Client Solutions for the nationally recognized agency collective. Transitioning from her previous role as Senior Director, Business Solutions at UPBrand Collaborative, Meredith will now lead client initiatives and business development efforts for all Nitrous agencies. In her new role, Goette will spearhead efforts across the agencies to ensure client satisfaction and alignment across the collective’s agency partners. Goette will continue leadership efforts to organize the collective and collaborate on behalf of existing clients as well as strategic new business opportunities. To learn more about the Nitrous Effect’s client solutions, please visit nitrouseffect.com. The Nitrous Effect is a powerful new agency model made up of senior-level specialists that solve complex brand challenges fast and more efficiently. Our unique approach brings together the best minds from across marketing disciplines to create integrated solutions for some of the world's leading brands like Carnival, Virgin and Southwest Airlines. The model is designed to reduce unnecessary costs, time and complications of managing multiple agency relationships.